Home Microsoft Excel Where is the Developer Tab in Excel 2007? Microsoft Excel has a huge selection of tools and settings that you can use to accomplish a lot of things. One of the most useful elements of Excel, however, is the ability to create macros and automate certain processes. 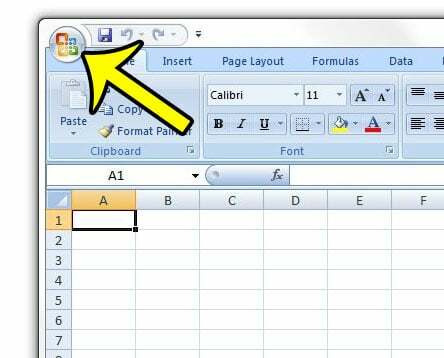 Macros are found on the Developer tab in Microsoft Excel 2007, but that tab is not visible by default. You can choose to display the Developer tab in the ribbon, though, by changing one setting on the Excel Options menu. Our guide below will direct you to this setting so that you can turn it on and gain access to the features on the Developer tab. The steps in this guide will change the settings for the Excel 2007 ribbon to include a tab labeled Developer. 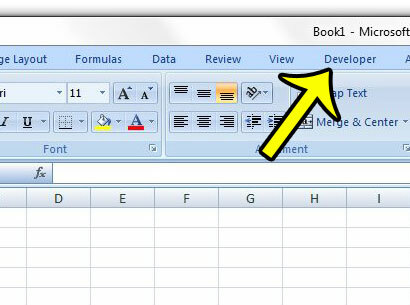 This is a change to the settings for Excel 2007, meaning that this tab will be visible each time that you open a spreadsheet with that program on your computer. If you decide later that you no longer wish to display the Developer tab, then you can follow these same steps to return to the Excel Options menu and turn off the Developer option in the ribbon by unchecking the same box. Click the Office button at the top-left corner of the window. Click the Excel Options button at the bottom of this menu. 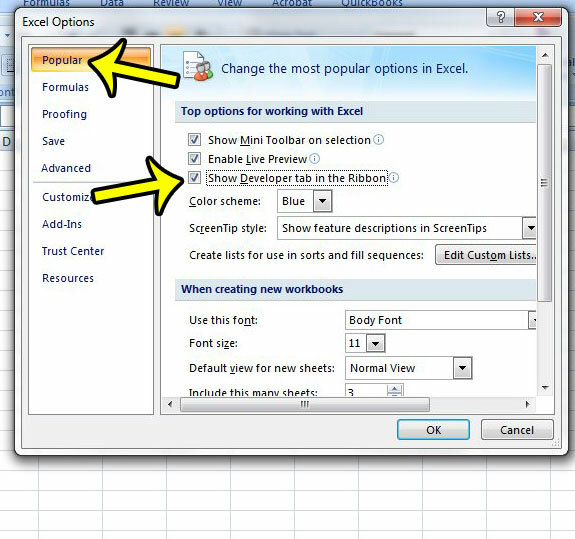 Click the Popular option in the column at the left side of the Excel Options menu, then check the box to the left of Show Developer tab in the Ribbon. 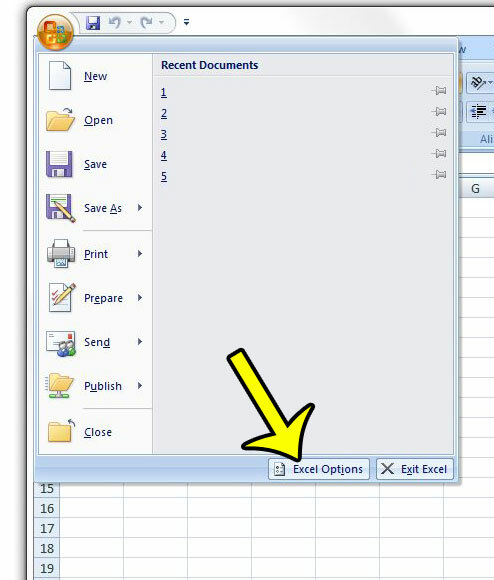 Click the OK button at the bottom of the window to close the Excel Options window and save your changes. You will note that the Developer tab is now visible in the ribbon. Are the cells in your spreadsheet displaying your formulas, instead of the result of those formulas? You can learn how to hide the formulas in Excel if you would prefer to see their values instead.